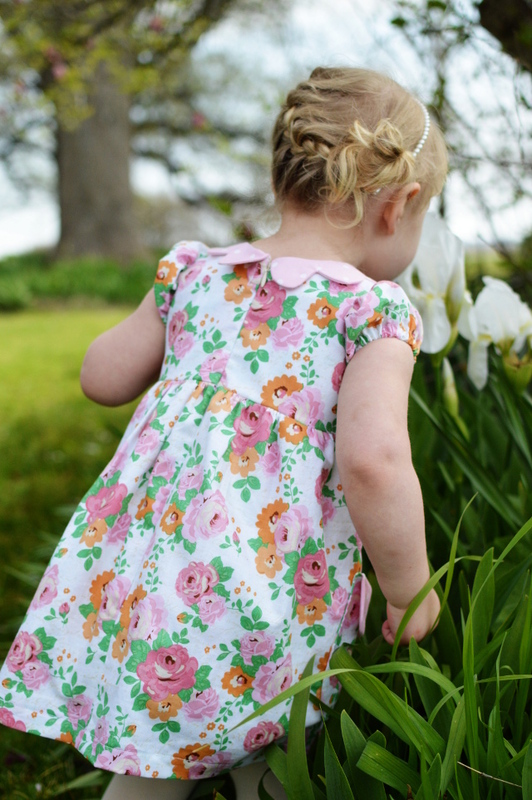 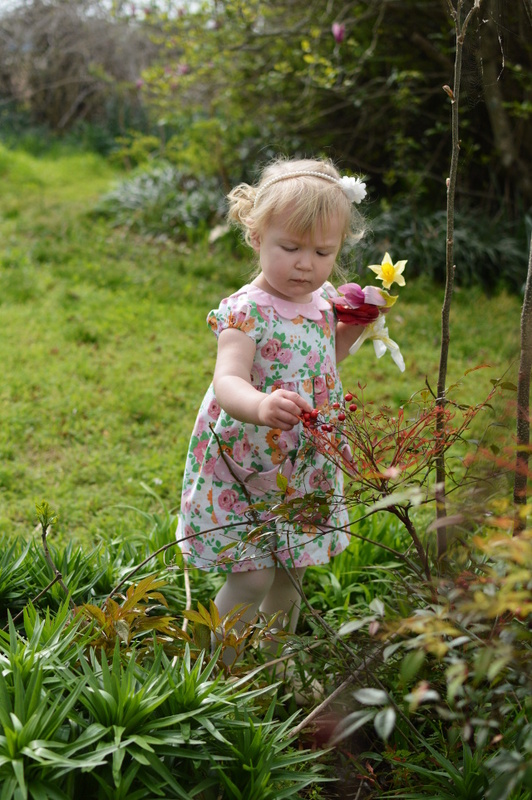 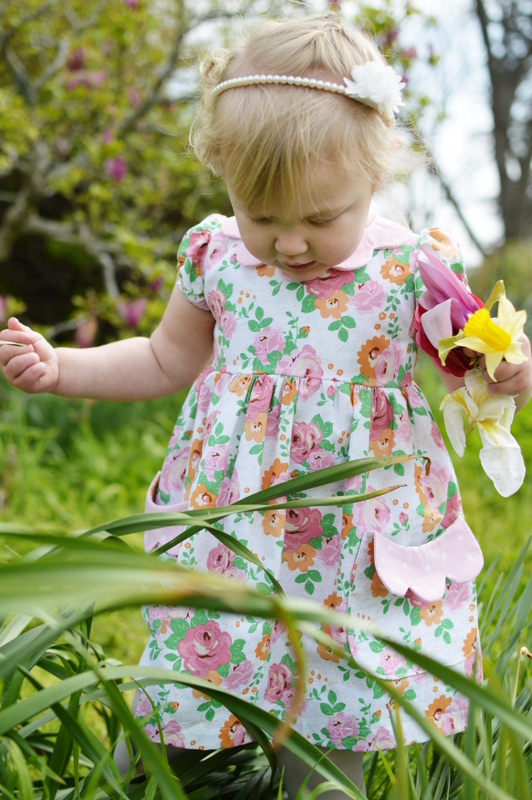 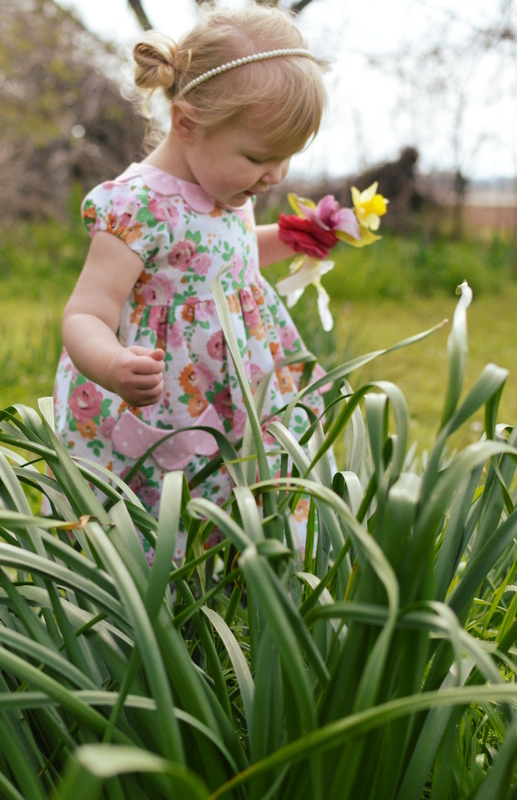 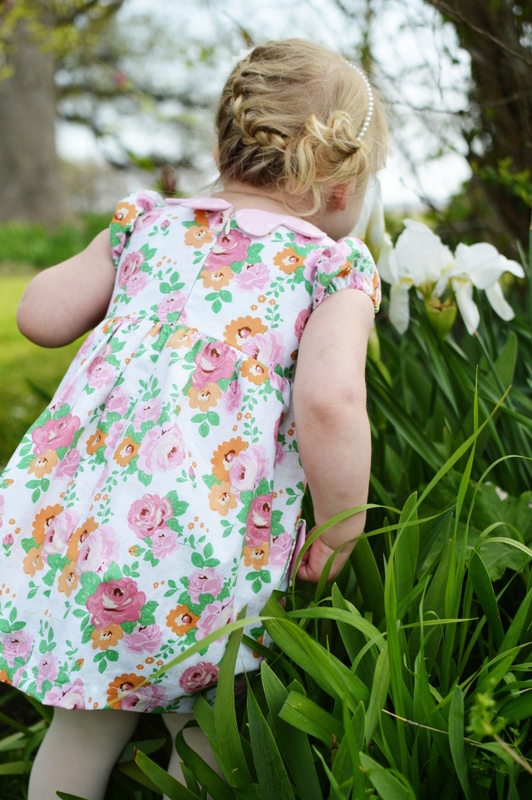 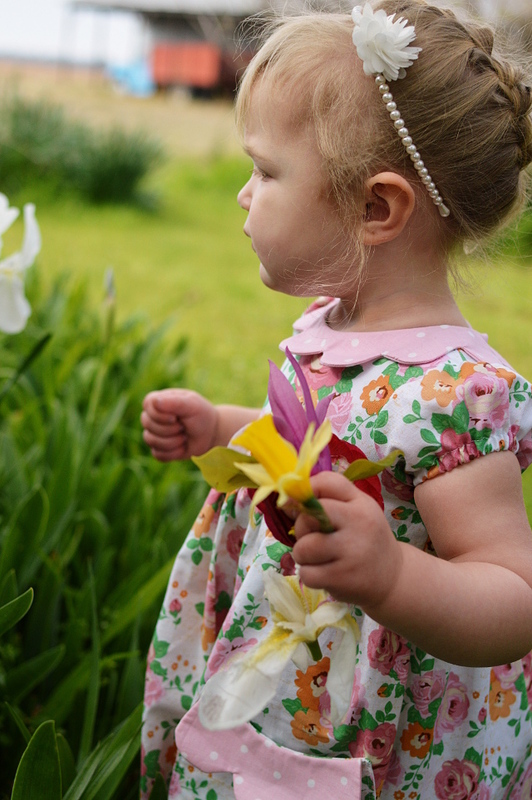 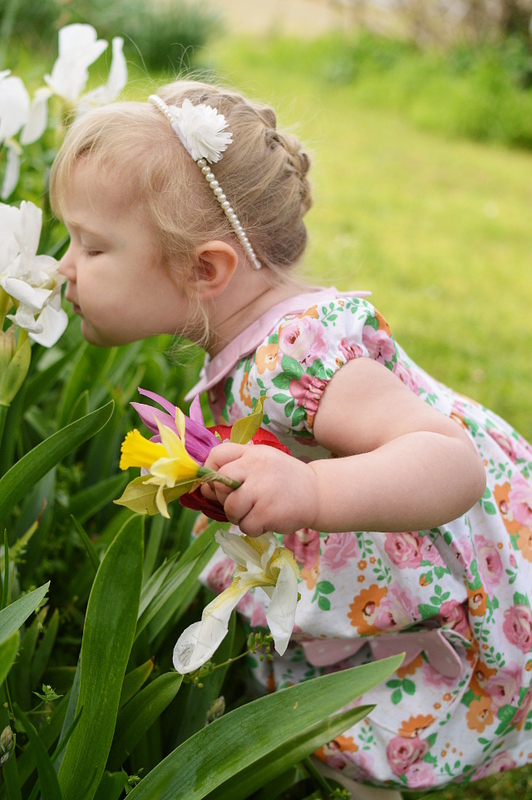 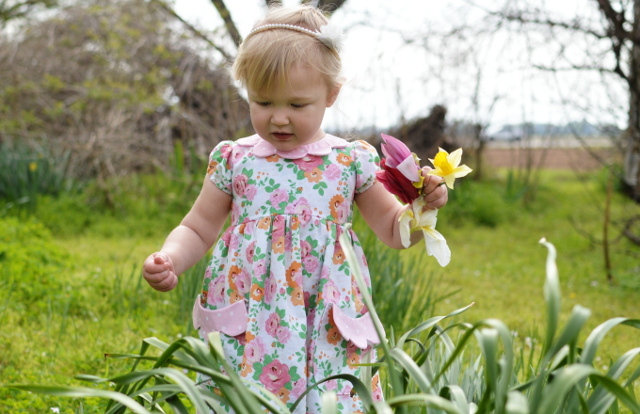 Remember when I shared that sweet scalloped spring dress I made for Jensen in this post? 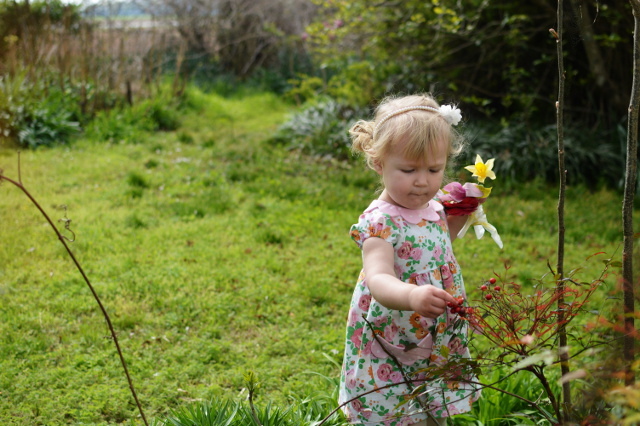 Well, here it is in action! 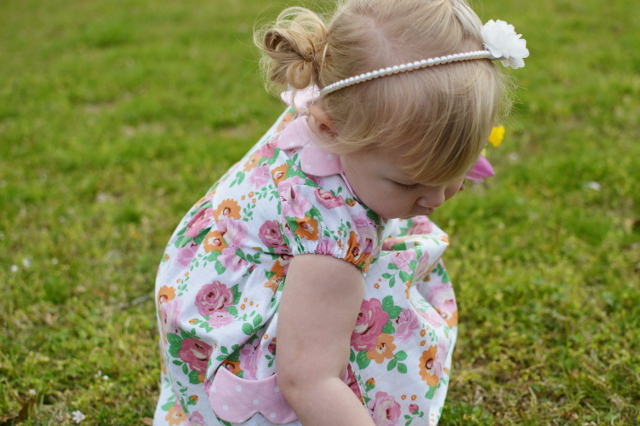 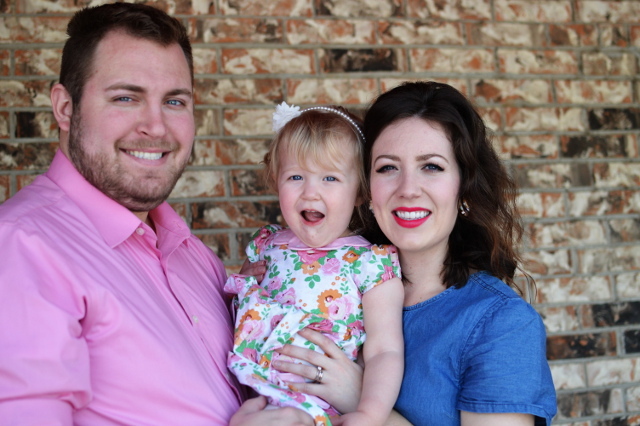 She looked adorably sweet on Easter Sunday. 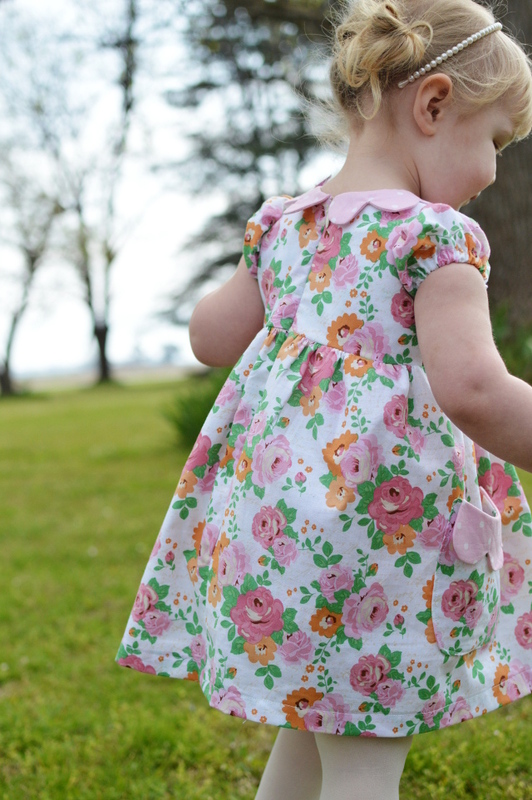 She is definitely in a girly girl stage right now as she loves anything that is sparkly, tutu-related, pink or purple, and dresses and skirts of all kinds! 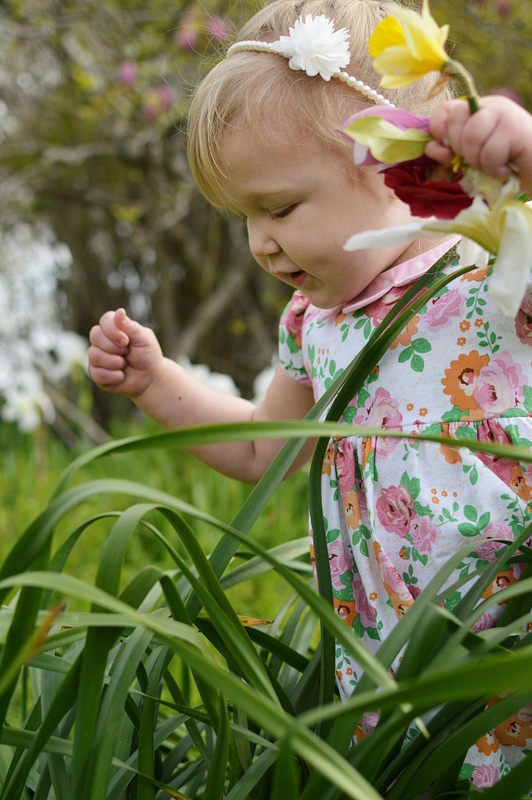 She was having fun exploring the flowers and grass at Papa's farm so I just had to get out my camera and snap as many photos as I could!